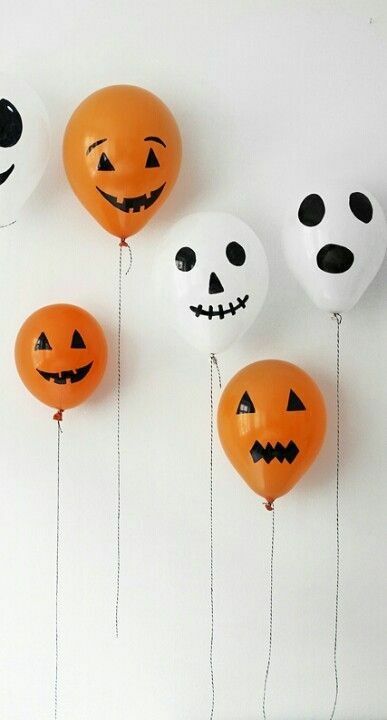 Halloween is just around the corner and with only 8 days left, we’ve gathered up last-minute, DIY decorations that will creep-out your guests! All ideas and images have been found on Pinterest – the ultimate DIY source! Everything listed here can be made with items found around the house, or are relatively cheap to purchase. 1. Add air to the balloons and tie ribbon. 2. With your black Sharpie, draw on creepy faces such as, jack-o-lanterns, ghosts, skulls, etc. Purchase a pack of 15 orange balloons for $2.99 at Party City! 3. Place the completed project in your windows or bushes to scare your guests! You can purchase glow sticks at the Dollar Tree – 8 come in 1 pack for just $1! 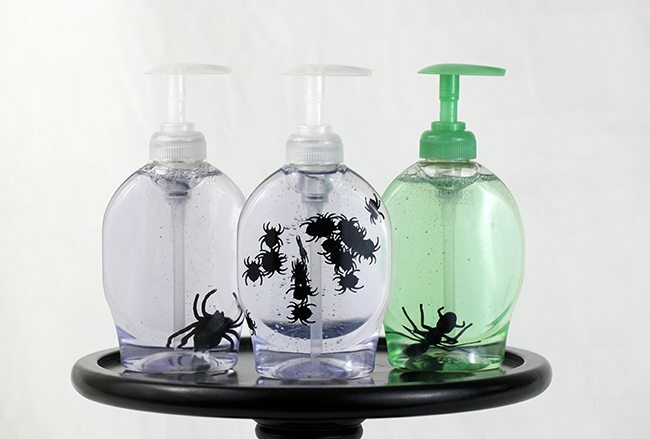 Gross out your guests by inserting fake insects in your hand-soap bottles in the bathroom and kitchen. Remove the soap sticker for a better effect! You can purchase a pack of 50 mini spiders at Party City for just $1.99! 3. Tape the white circles first, and the black circles on top of the white. Plastic cups are a necessity at parties. 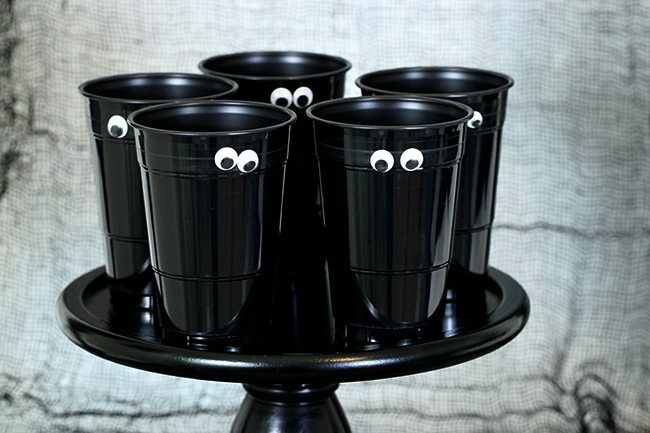 Keep an eye on your guests by adding googly-eyes to the cups! Simply glue the eyes to each cup – or you could set up a DIY station and have your guests decorate their own! 1. Choose your decoration – i.e. 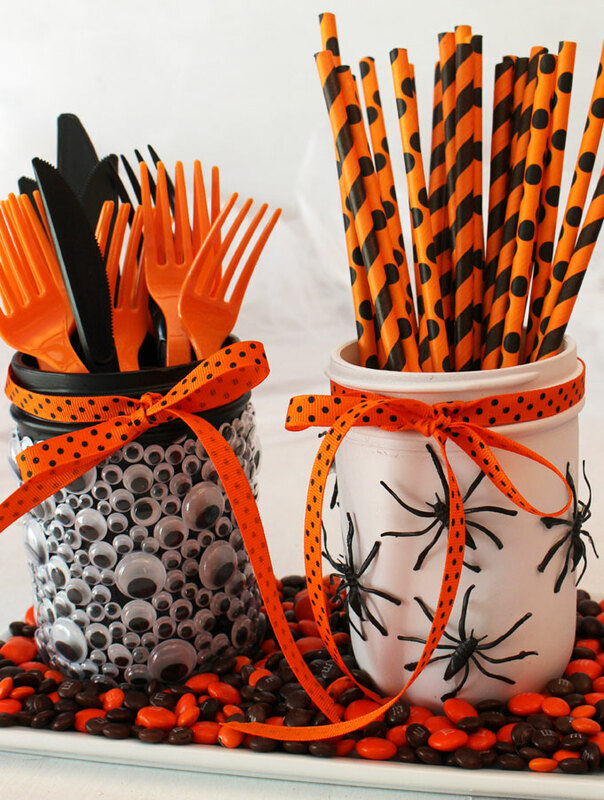 plastic spiders, googly-eyes, ribbons, spider webbing, etc. 3. Insert the utensils into the cups! You can find decorations at Amazon for cheap! 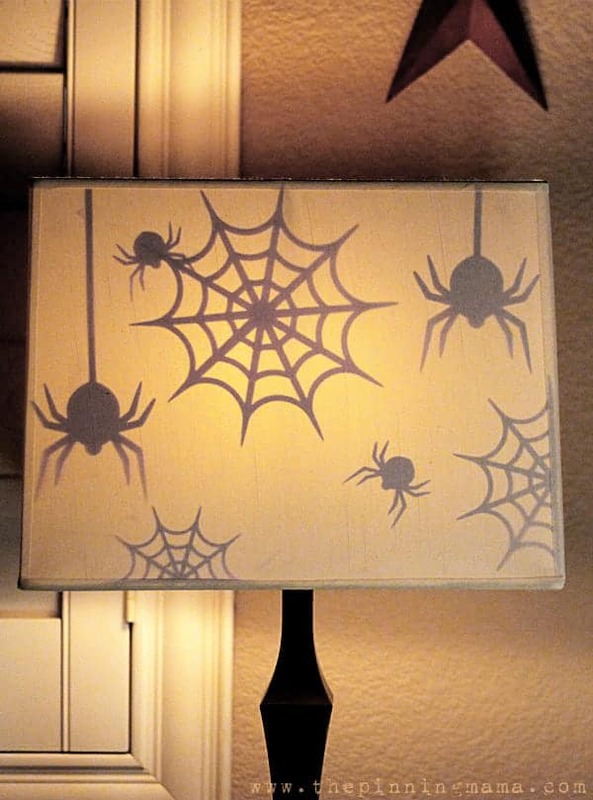 If you have light-colored lamp shades, draw and cut out scary silhouettes of your favorite Halloween images! i.e. Spiders, webs, skulls, pumpkins, witch hats, etc. 3. 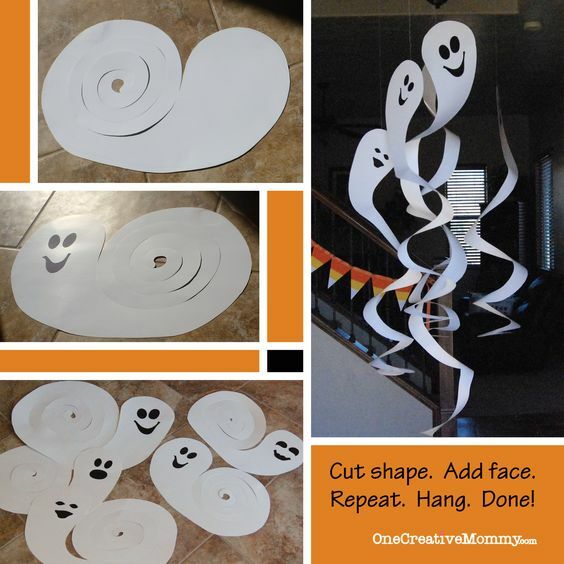 Cut out and hang around your home! Check out DIY Bunker for FREE Halloween Prints! 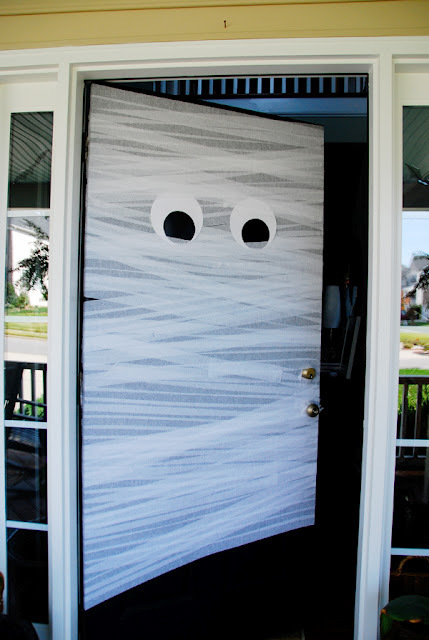 We hope you enjoy these cheap and spooky DIY crafts that we found on Pinterest!